The Blizzard is our Elite 5 star 30 teeth texturising blending scissor that is handcrafted in Japan using ATS-314 steel. The Blizzard is similar to the Soka and Akechi designed with unique v grooved teeth to guide the hair into the teeth to ensure the correct amount of hair is cut. 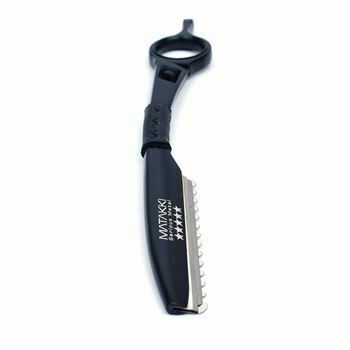 This blending scissor is perfect for finishing the hair style and will seamlessly remove approximately 25/30% hair.